The Town of Lakeshore is recruiting Volunteer Firefighters for Fire Stations 1, 2 3 and 4. 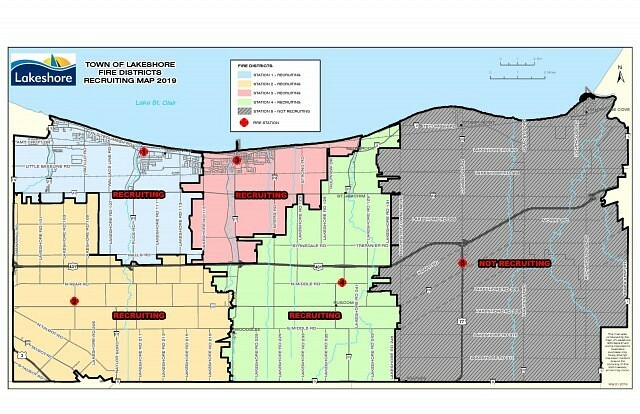 Lakeshore’s Fire Department consists of just under 100 volunteer firefighters serving fire districts across the municipality. In 2018, the department responded to 551 calls for assistance with only 18 as actual structure fires. The remaining calls included 90 other fire-related events, 100 motor vehicle collisions, 180 alarm activations, 60 medical calls and 100 other various assistance categories. Interested applicants must live within the fire district served in Lakeshore and be physically able to perform the tasks and duties of the job. Further job requirements, including the job description and information package, can be found here. The Town is accepting resumes outlining qualifications by email to [email protected] until April 5th.